RNB Commercials is a family-run business who have been established for over 25 years. The new management team wanted a brand refresh to be able to take the business forward into the next 25 years. They understood that the market is changing within their industry and that they had to improve their processes in order to grow the business. After talking to the client it became apparent that we needed to look at the re-branding of the whole business and develop a concept which would work across all platforms. After consulting with the client and presenting them with a number of different designs, the team at Stone Create and RNB Commercials agreed on the logo shown here. Fresh clean lines using their company name and a truck were the inspiration for this particular design. We designed, manufactured and installed a full set of external signage for RNB Commercials, covering their whole site. Aluminium trays, trough lighting to the top and full colour print was used. We decided on clear sharp designs, which would be noticeable from a distance. We also designed bespoke health and safety signage for each division within the business. 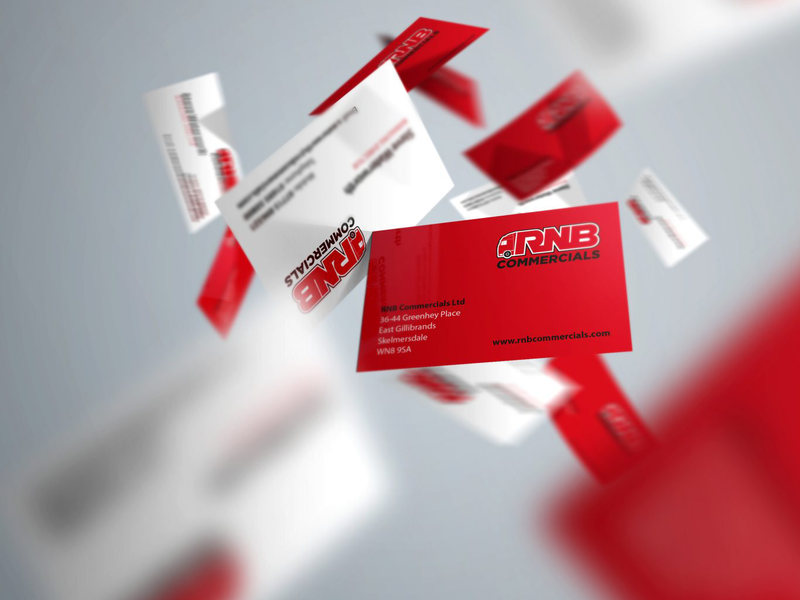 The next step was to design a full set of stationery materials for RNB Commercials. This was done using vibrant colours, quality print, matt lamination and spot UV across the set; business cards, compliment slips and letterheaded paper. 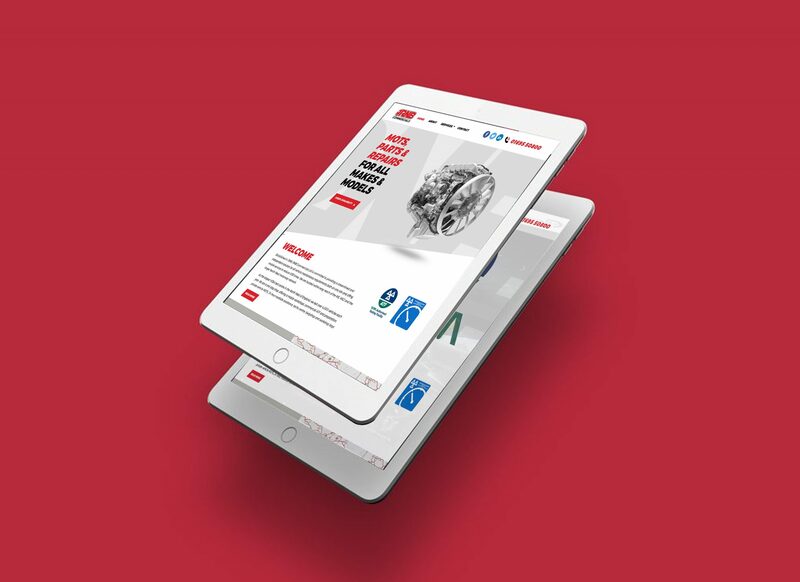 This provided the team with consistency across their full range of marketing materials, helping them to stand out in this ever-changing industry. RNB Commercials understood the importance of launching a new brand and how to maximise their exposure to existing and potential new customers. A simple but effective way was to design and print a clean, well-made mug and branded air fresheners to be handed out after each vehicle that they had serviced. Finally, the website was developed showcasing all services that the business has to offer. 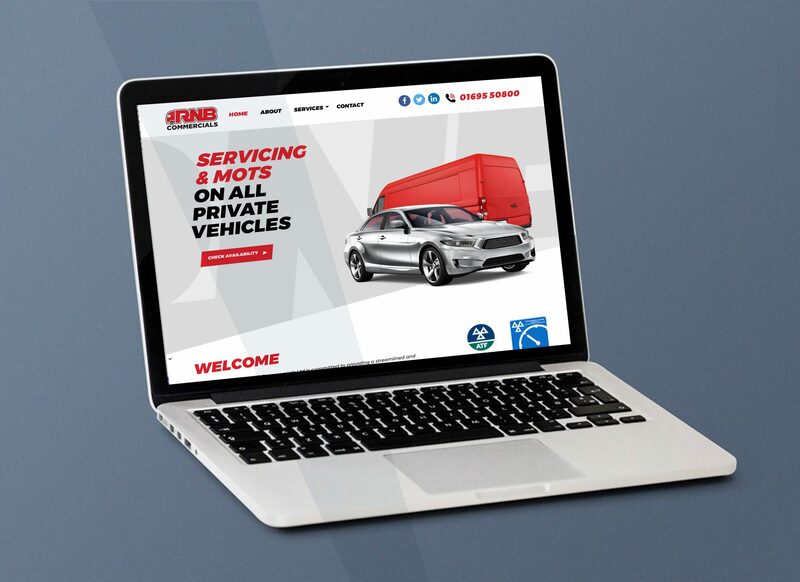 Once the initial website design was signed off by the team, we then worked on a separate, responsive design to work on all devices, including mobile and tablet. A specially developed online booking system was integral, in order to make life simpler for their clients when booking a service. They are now able to refine their bookings dependent on the type of vehicle and its height.